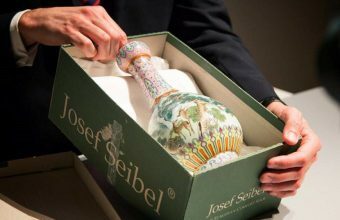 A unique Chinese vase discovered in an attic stunned auctioneers when it sold for more than $750,000 in the U.K last week. The vase, believed to date from the late 18th century, had spent the last 20 years hidden away in storage after the owner inherited it from her elderly aunt. It crossed the block at Exeter auctioneers Bearnes Hampton & Littlewood on January 30 with an initial estimate of £20,000 – £40,000. 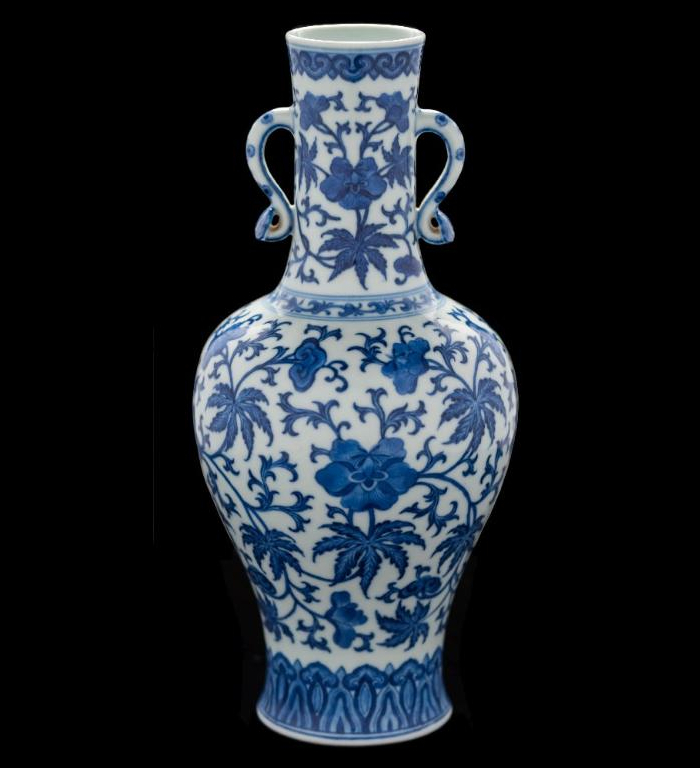 With bids flying in from around the world, the vase was snapped up by an anonymous Chinese collector for a final price of £586,000 ($767,000) including buyer’s premium. According to records, the vase was originally owned by Annie Madeline Glover, a young teacher who emigrated from England to China in 1910. Glover settled in Shanghai, where she met her husband and started a family, but she was widowed in 1918 and decided to return home with her son. The vase was amongst the possessions she brought back to England in 1922 aboard the P&O Steamship ‘Egypt’, and it remained in her collection for decades. The vendor inherited the vase from her Aunt in the 1990s, but had no idea of its rarity and simply stored it away in a box in the attic, where it sat undisturbed until recently. When she contacted her local auction house for a valuation, they were able to date it to the 1780s and the reign of the Qianlong Emperor, who ruled China from 1735 until 1796. 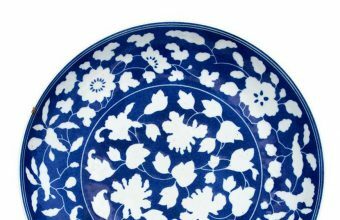 The Emperor was renowned for art collection and his love of porcelain, and he employed an army of skilled artisans in the Imperial kilns. Today pieces bearing the Emperor’s mark are amongst the most sought-after for collectors, and have been known to sell for tens of millions of dollars in some cases. 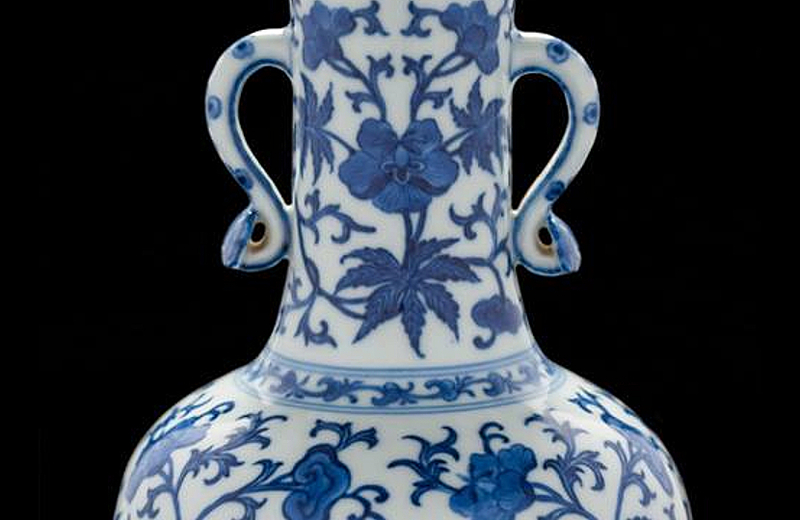 Despite being more than 200 years old, the vase had survived in almost perfect condition, apart for a tiny chip to one of the handles. 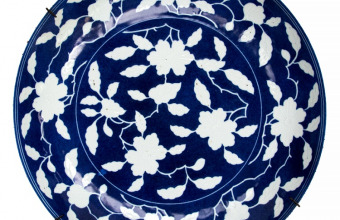 It featured a Ming-style blue and white decoration of scrolling peony, lingzhi sprays and foliage, with a six-character Qianlong seal mark on the base. But following extensive research, experts at the auction house were unable to trace another similar example in the same pattern and colours. Believing the vase to be unique, they suspected it could fetch a strong price – but no-one, not least the owner herself, was prepared for the life-changing amount it finally achieved.